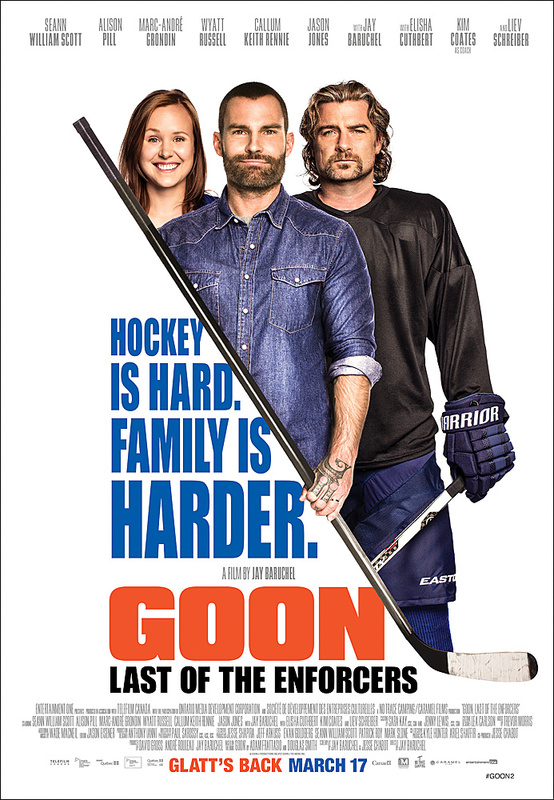 In this sequel to the cult comedy Goon (2011), a new day has dawned for the Halifax Highlanders. A pro lockout has reunited old teammates and brought a crew of new players to the bench; notably missing from the line-up, however, is everyone’s favourite enforcer and heart of the team, Doug “The Thug” Glatt. Sidelined after one too many hits and now married with a baby on the way, Doug is hanging up his skates and settling into life as an insurance salesman. But when Doug’s nemesis, Anders Cain, is made captain of the Highlanders and new ownership threatens to tear his team apart, Doug is compelled back into action. Ignoring the wishes of wife Eva, Doug heads to the rink, discovering an unlikely training partner in fellow retired enforcer and one-time arch rival, Ross “The Boss” Rhea. Together with grit, passion and unrivaled loyalty, they will grind out one last chance to do what they do best…protect their team.